The PIMCO Enhanced Low Duration Active Exchange-Traded Fund (Ticker: LDUR) is a diversified portfolio of high quality bonds that is actively managed in an effort to limit interest rate exposure while maximizing returns in a risk-controlled framework. The fund offers a conservative core bond strategy that is designed to capitalize on opportunities across multiple sectors of the fixed income market. The average portfolio duration normally is between 1 and 3 years. 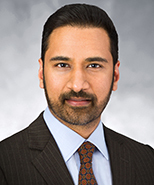 Mr. Arif is an executive vice president and credit portfolio manager in the Newport Beach office. He focuses on global high yield, crossover corporate credit and corporate opportunities bond fund portfolios and is a co-manager on several PIMCO high yield credit strategies. He is also a member of the Americas portfolio committee. 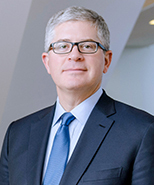 Prior to joining PIMCO in 2008, he was a leveraged finance investment banker at Credit Suisse in Los Angeles. He has 14 years of investment experience and holds an MBA from the University of Chicago Graduate School of Business. He also has a master's degree in petroleum engineering from Stanford University and an undergraduate degree from the Indian Institute of Technology, Mumbai. The ICE BofAML 1-3 Year U.S. Treasury Index is an unmanagedindex comprised of U.S. Treasury securities, other thaninflation-protection securities and STRIPS, with at least $1 billionin outstanding face value and a remaining term to final maturity ofat least one year and less than three years. It is not possible toinvest directly in an unmanaged index. 1 The Net Expense Ratio excluding Other Expenses (i.e. interest expense) is 0.39%. 2 The Net Expense Ratio reflects a contractual fee waiver and/or expense reduction, which is in place through 10/31/19 and renews automatically for a full year unless terminated by PIMCO in accordance with the terms of the agreement. See the Fund's prospectus for more information. Investments made by a Fund and the results achieved by a Fund are not expected to be the same as those made by any other PIMCO-advised Fund, including those with a similar name, investment objective or policies. A new or smaller Fund’s performance may not represent how the Fund is expected to or may perform in the long-term. New Funds have limited operating histories for investors to evaluate and new and smaller Funds may not attract sufficient assets to achieve investment and trading efficiencies. A Fund may be forced to sell a comparatively large portion of its portfolio to meet significant shareholder redemptions for cash, or hold a comparatively large portion of its portfolio in cash due to significant share purchases for cash, in each case when the Fund otherwise would not seek to do so, which may adversely affect performance.The last recorded trade price before today, often referred to as a “Closing Price” of BOND was $ transacted on . A word about risk: Investing in the bond market is subject to certain risks, including market, interest rate, issuer, credit and inflation risk; investments may be worth more or less than the original cost when redeemed. High yield, lower-rated securities involve greater risk than higher-rated securities; portfolios that invest in them may be subject to greater levels of credit and liquidity risk than portfolios that do not. Mortgage- and asset-backed securities may be sensitive to changes in interest rates, subject to early repayment risk, and while generally supported by a government, government-agency or private guarantor, there is no assurance that the guarantor will meet its obligations. Investing in foreign-denominated and/or -domiciled securities may involve heightened risk due to currency fluctuations, and economic and political risks, which may be enhanced in emerging markets. The value of most bond strategies and fixed income securities are impacted by changes in interest rates. Bonds and bond strategies with longer durations tend to be more sensitive and more volatile than securities with shorter durations; bond prices generally fall as interest rates rise.